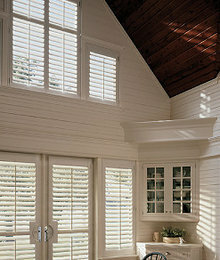 Shutters are a perfect choice for clerestory windows. 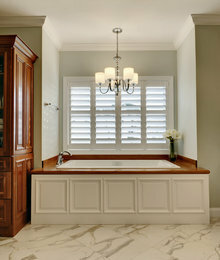 Shutters in bathrooms are an ideal pairing. 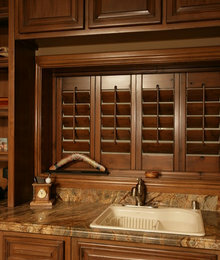 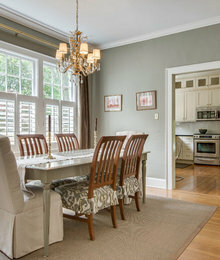 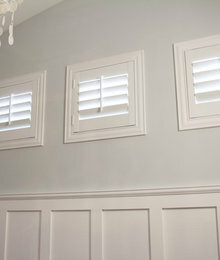 Shutters in a different color than the rest of your trim can be a stunning visual statement. 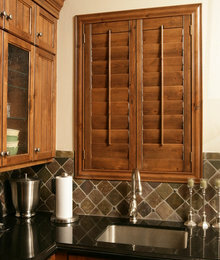 Shutters on doors are a great idea. 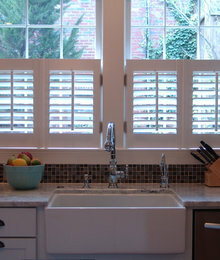 Cafe shutters over the sink in the kitchen add just the right touch of privacy and allow for light and the view to remain. 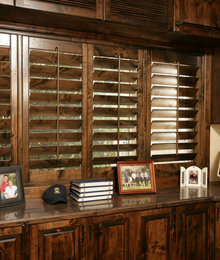 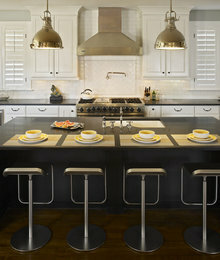 Gorgeous use of the 2.5" Louver Cafe style shutters. 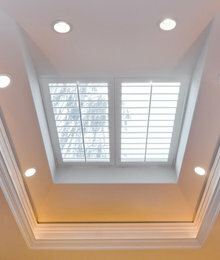 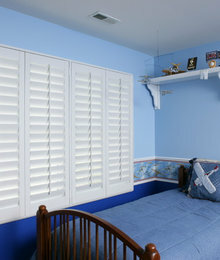 Plantation shutters are an excellent solution for skylights. 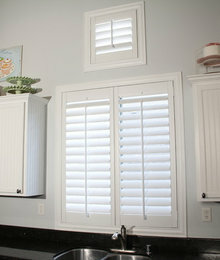 Plantation shutters are a unique solution to odd shaped openings. 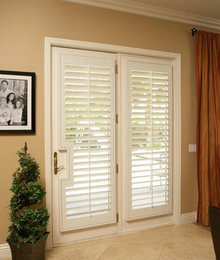 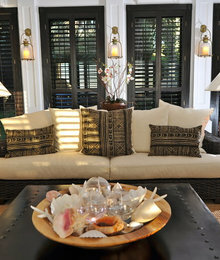 Plantation shutters are an excellent choice for French Doors and elongated eyebrows. 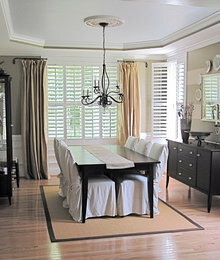 These are a lovely, casual example of plantation shutters in the cafe style. 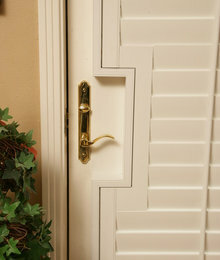 The one opening appears to be of a different height - most likely to match the window. 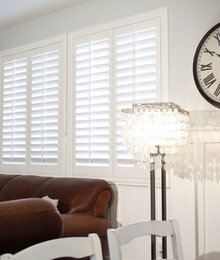 Plantation shutters using an inside mount to let the fantastic detail of the trim work shine as well as create some lovely height to the windows. 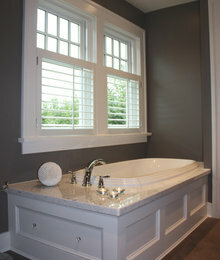 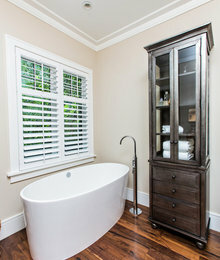 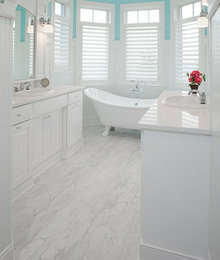 Plantation shutters are an ideal treatment for a bath window. 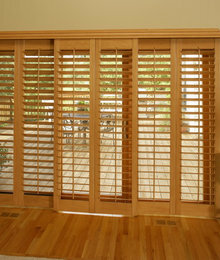 The divider rail allows for privacy and the clear view style without the tilt-rod is very sleek while still looking traditional. 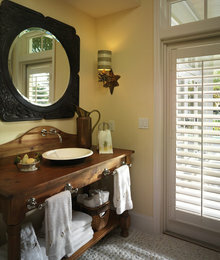 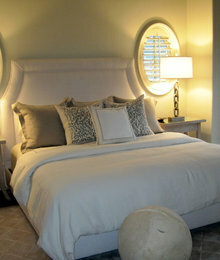 Gorgeous coupling of plantation shutters and draperies. 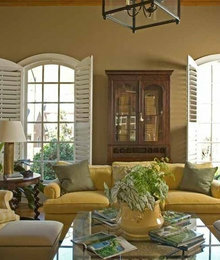 Lovely inside mount arched plantation shutters with divider rail.